Arthritis is inflammation of the joints that causes pain and stiffness. There are two particularly common forms of arthritis called osteoarthritis and Rheumatoid Arthritis. With osteoarthritis, the inflammation comes from wear and tear and worsens over time. With Rheumatoid Arthritis on the other hand, the inflammation comes from an autoimmune disorder that attacks tissues around the joints. There are also other, less common forms of arthritis. These are caused by underlying diseases like lupus or psoriasis, infections, or the buildup of uric acid crystals. Although there are a few different forms of the illness, most exhibit similar symptoms. These symptoms include pain, stiffness, swelling, redness, and a decreased range of motion. In osteoarthritis, these symptoms come from damage to cartilage in the joints. As the cartilage weakens and even dissipates altogether, the bones grind against themselves, which is very painful. 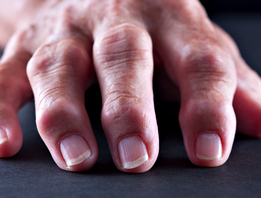 In Rheumatoid Arthritis, the synovium, which is the membrane that lines joints, becomes inflamed. This causes swelling which can eventually damage cartilage and bone in the joint. Arthritis, in some of its forms, runs in families and most types get worse as people age. Obesity and former joint injuries can also increase your risk. Women tend to be more likely to develop Rheumatoid Arthritis. Before making an appointment to see an experienced Broward County rheumatologist, it’s a good idea to prepare for questions that might be asked. Write down your symptoms and include when they first began and what makes them better or worse. It will also assist your doctor to know other medical problems you’ve had, your family’s medical history, and any medications or supplements you are taking. Once they have this information, they will check for swelling in your joints and for redness or warmth in those areas as well. They will also test your range of motion. If their initial exam makes them suspect arthritis, they will likely conduct blood tests. They can also gain information about your joint health using x-rays, computerized tomography, magnetic resonance imaging, ultrasounds, and through arthroscopy. Dr. Charles Kahn, Dr. Wayne Riskin, and Dr Tesenia Santiago-Casas are three of the premier arthritis doctors in South Florida. They have extensive experience in diagnosing and treating arthritis for their patients in Hollywood, FL and Pembroke Pines. They can discuss treatment options that will help you deal with the disease and lessen symptoms. Treatments may include medications such as analgesics, nonsteroidal anti-inflammatory drugs, disease-modifying antirheumatic drugs, biologics, or corticosteroids. They have been treating Rheumatoid Arthritis in South Florida for several decades. If you have any questions or concerns about the diagnosis and treatment of osteoarthritis in South Florida make an appointment with one of the doctors today.